More than one in 10 Sandwell residents binge drink, new figures released by the Trust have revealed. It means that 40,000 people are increasing the risk to their health by consuming excessive amounts of alcohol in a short period of time. The statistic was revealed by the Alcohol Team at the Trust. The team is holding a series of events to mark Alcohol Awareness Week, which started on November 19. As part of Alcohol Awareness week, events are being held at both Sandwell and City Hospitals. There will be an alcohol-free drinks tasting session, a quiz, and visitors to the roadshows will be able to try on ‘beer goggles’ which allow the user to experience what the world looks like after a few drinks. They will also be encouraged to take part in surveys to learn more about their drinking habits. 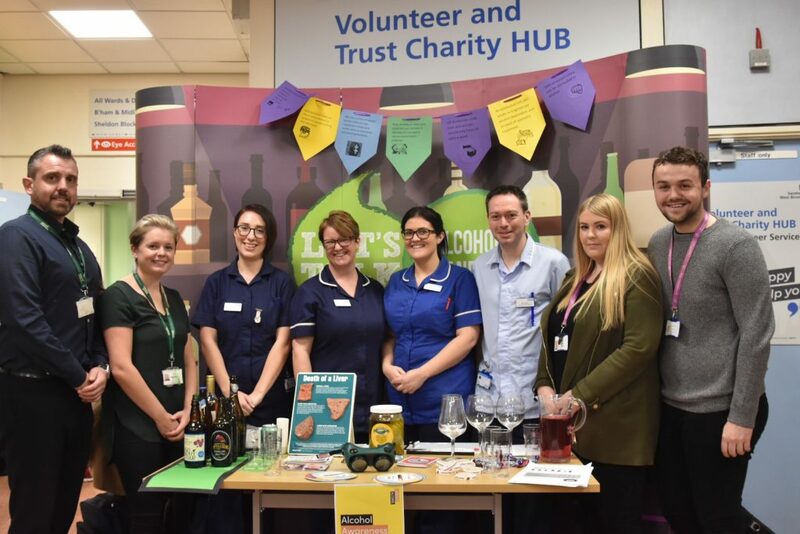 The alcohol team was established over a year ago, but they have already seen nearly 2,000 patients and saved the Trust around £133,000 by treating many of them as outpatients. Arlene said: “We have been working with our partners, CGL (Change Grow Live Birmingham) and the charity Cranstoun, which is based in Sandwell, to deliver a wide range of treatments to help patients reduce their alcohol intake or quit drinking completely. The teams will be at Sandwell Hospital on Friday, 23 November, between 11am to 2.30pm.